Team Superstar is the premier box lacrosse training program in the Northeast. 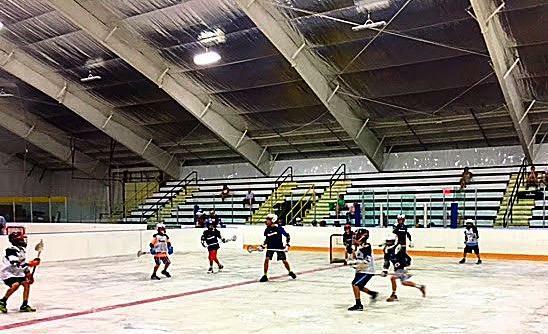 With instruction provided by Roy Colsey and Oliver Marti, our players are rapidly learn the game of box lacrosse and quickly take those skills onto the field. With our own dedicated facility, we offer year-round box lacrosse training opportunities to players of all ages. Our box players will see an immediate translation of their newly acquired box skills as they take to the field next Spring! If you are serious about improving your lacrosse skills and ability, and want to do it in the most fun environment available, don't miss out on this experience! If you are wondering about our box lacrosse coaching staff and credentials, here is a great article on the Top 30 American NLL Box Lacrosse Players of All Time. Click on the link and scroll down to the top 10 to see Coach Colsey's Box Lacrosse credentials! AMERICAN MADE TOP 30 NLL PLAYERS! By popular demand, Team Superstar and the American Lacrosse Academy will be offering Authentic Box Lacrosse Teams to boys in grades 3 through 12 again this winter! We had tremendous success in our first 2 years of competing on the box lacrosse tournament scene and have once again qualified 4 of our 5 teams for the USBOXLA Nationals coming up in August in Huntington Beach, California. We have become a sanctioned member of the USBOXLA Organization, the only Box Lacrosse Organization in the US teaching real box lacrosse and providing playing and coaching education to it's member base. Please feel free to look at their website and all of the great things they are doing for American Box Lacrosse Players (www.usboxla.com)! Over the course of the last 2 years, we have seen tremendous growth in our players who have committed to learning the fundamentals of box lacrosse. Our box players are scoring more and passing with greater accuracy and purpose than they did prior to playing box lacrosse. And the best part is, box lacrosse is SO FUN! The tournaments we attend are played inside of an actual rink with boards and glass just like the National Lacrosse League. There is a 30 second shot clock so the action is fast paced and exciting! Your player will love it too!